As an accredited backflow tester and prominent backflow prevention company based in Melbourne, we are best positioned to provide testing and maintenance of both residential and commercial plumbing backflow systems. Backflow Prevent can take care of all your backflow testing and certification requirements. All backflow prevention devices are required by law to be tested annually. To assist with regulatory compliance, we can lodge the necessary documentation to the governing water authority on your behalf. Any maintenance or repairs are also carried out if required. Enjoy friendly, professional service from our backflow prevention team of plumbers, along with transparent pricing when you use Backflow Prevent to test and maintain backflow devices and strategies for residential properties. 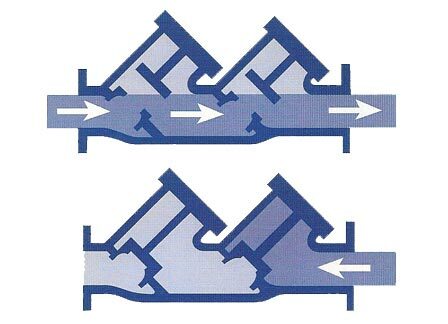 All work is carried out to rigorous standards required to prevent future backflow problems. Specialising in backflow prevention makes us the trusted organisation for protecting your commercial building from contaminating the potable water system. Whatever the size and scope of the commercial property, our specialist team can take care of backflow prevention device testing and maintenance, limiting your organisation’s risk of liability from inadvertent contamination.